They say everything’s bigger in Texas. But you know what’s not? Law schools. The state has the fewest 1L slots at accredited law schools – by far – of any of the five largest states in the U.S. New York enrolled 3865 1Ls in 2016 (1 for each .000195 of the population); California enrolled 4454 (1 per .000113); Illinois 1765 (.00013); and Florida 2270 (.000111). And Texas? Just 1967 1L’s providing one new lawyer per .000071 of the state’s population. 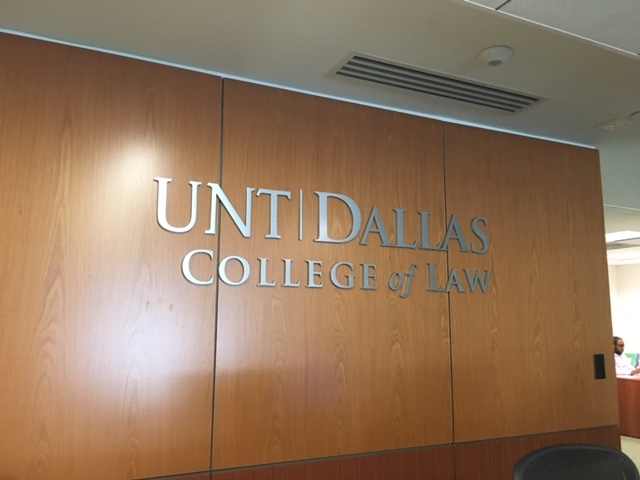 University of North Texas Dallas College of Law is vying to become the Lone Star State’s 10th law school; compare that with 21 accredited schools in the only state that tops it population wise – California. [Another article for another day, but when you add in California’s state- and unaccredited schools, it actually offers 63 law schools.] New York has 15. While acknowledging the numbers, Texas law school leaders point out established schools already have challenges placing all their students. Still, UNT Dallas’ hope at providing a much-needed option is complicated by the Department of Education’s crackdown on the ABA Section of Legal Education and Admission to the Bar which has enjoyed the power to accredit law schools. Led by Founding Dean Royal Furgeson Jr., a former federal judge and UT Law School grad, the school seemed on its way to winning provisional accreditation this year. In November 2016, accreditors decided to hold off – putting in jeopardy students who entered in the inaugural class of 2014 and those after. The reason? school finances and low LSAT scores of admitted students. The Kafka clash between the ABA’s accreditors looking for a school to reject for accreditation to keep their licensing authority from the Department of Education, the current hyperbole that there are too many lawyers and a school struggling to provide exactly what is needed is a little mind-blowing. Nonetheless, the school has faith and – for our two cents – a mission that deserves to not be the ABA’s fall guy. Look, we’re not saying UNT Dallas is going to be UT any time soon – or even that it has the reasonable outsider shot that Texas A&M has assembled at true impact in this huge market. What we are saying is the school is vying to be given a shot to educate students in the nation’s second-biggest state – and these are students who want to help low-income and other clients for whom there is a desperate need. Texas is booming, and Dallas is going gangbusters. So how about this ABA? Go find another school to strip of accreditation and let this worthwhile effort have a chance to educate some students who will go help folks who really need them. If you need some other schools to replace UNT under your microscope, we can offer a few suggestions.